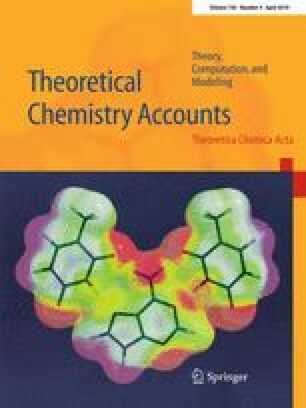 Quantum chemical calculations based on density functional theory were used to analyze the potentially possible reactions between oxotitanium(IV) tetraphenylporphyrin ((TPP)Ti = O) and benzoyl peroxide (BP). Wavefunction analyses were performed, and electrostatic potential maps were calculated for (TPP)Ti = O and BP molecules. It was shown that the oxygen extra ligand is the most reactive part in (TPP)Ti = O. The structures of the possible inner- and outer-sphere complexes of (TPP)Ti = O with BP and their IR spectra were calculated, and the energies of their formation were estimated. The formation of an outer-sphere complex is the most thermodynamically probable process in the reaction of (TPP)Ti = O and BP. This interaction does not alter the state of the peroxy bond in the initiator molecule. A scheme was suggested to explain the reasons for the accelerating effect of oxotitanium(IV) porphyrins on the radical polymerization of methyl methacrylate reported in the literature. This scheme presumes that the polymerizing system contains a metal-centered radical, a product of the growing radical addition to the metalloporphyrin. This particle can form an inner-sphere complex with BP, which then undergoes homolytic decomposition. The online version of this article ( https://doi.org/10.1007/s00214-019-2441-2) contains supplementary material, which is available to authorized users. The calculations were performed using the equipment at the Center for collective use “Khimiya” (Chemistry) at Ufa Institute of chemistry UFRC RAS within the State task for 2017–2019 (AAAA-A17-117011910026-3).